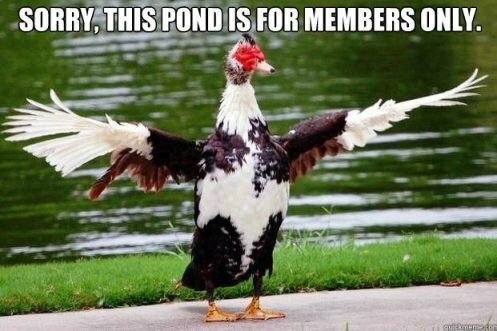 Yeah, it sounds good but who says that a membership site must be recurring? Did you know that there are more than one membership model that can be used? Many times, people are very particular on WHEN and HOW LONG their credit card will be charged. Think of the shift from “buy my product” to “become a member” with an easy one-time payment. Your members would be able to consume the content in the member’s area on a monthly basis (3-month, 6-month, 1-year), but they only pay ONCE. This will give you a chance to get more members who would have otherwise turned you down. Maybe they do not want to make a commitment to subscribe monthly or, they can’t commit for some reason or other. But this doesn’t mean that they aren’t interested. If you look closer at it… with either option, you will still get income from members who would not have agreed to the recurring model in the first place. Right? Another type of option that you can offer is the fixed-term membership model. Instead of a lifetime monthly subscription, people pay at specific set intervals with a finite number of payment cycles. E.g. 12 total payments of $19.95 spaced 30 days apart. People are much more willing to stick with a fixed-term rather than a no-expiration membership site. I knew that because I’ve made a BIG mistake, offering a lifetime model for my first membership site and later found out members will cancel anytime they want. It’s easy for people to buy into the member’s area and stick if they can see the finish line. It’s NOT advisable to offer a recurring subscription upfront to people. You should sell a one-time payment first, and then offer the recurring option (upsell) in the member’s area. Also, you should start using scarcity to market your continuity program – to get your members act immediately to sign up and take advantage of the incredible offer (Limited). All this depend on your ability to supply content that is filled with top notch information. You customers would appreciate if you could provide various pricing options. It offers them more control over their money, which will indirectly generate you more revenue too. One of the biggest rewards of owning a membership website is that you can build up a strong relationship with your members in the long run. The longer they stick with you, the more open they will be to purchase future offers and recommended products from you. If you’re a membership expert and would like to add your 2 cents on this subject, please share your thoughts in the comment below. If you ever need a membership site set up for you, I’ve recently launched a membership service catered for small business owners. Set Up Your Membership Site In 24 Hours Or Less! This is a great article. Sometimes, the recurring monthly membership can appear greedy. I do think that it’s appropriate when tons of content should be learned in over a longer period of time. I like your idea. It makes sense and makes you more credible. Keep up the great work and help lots of people. Hi, just wondering whether this membership site model works for all niches. I’m working on building an email list in the language learning niche at the moment, and I’m still wary about spending more money on advertising and solo ads to do so, or whether I should try building a membership site. Membership site works in all kind of niches as long as you’ve an audience/followers that willing to learn from you (you may start with small audience). I do have a client where he owns a membership site offering Japanese a few English courses. The membership site currently has over 250 paying members.